A most unusual (and possibly unique) Martin guitar. One of about 260 similar guitars built for Southern California Music Co., this is the only example that we know of with a spruce soundboard. All others we’ve seen or heard of were of all koa construction. 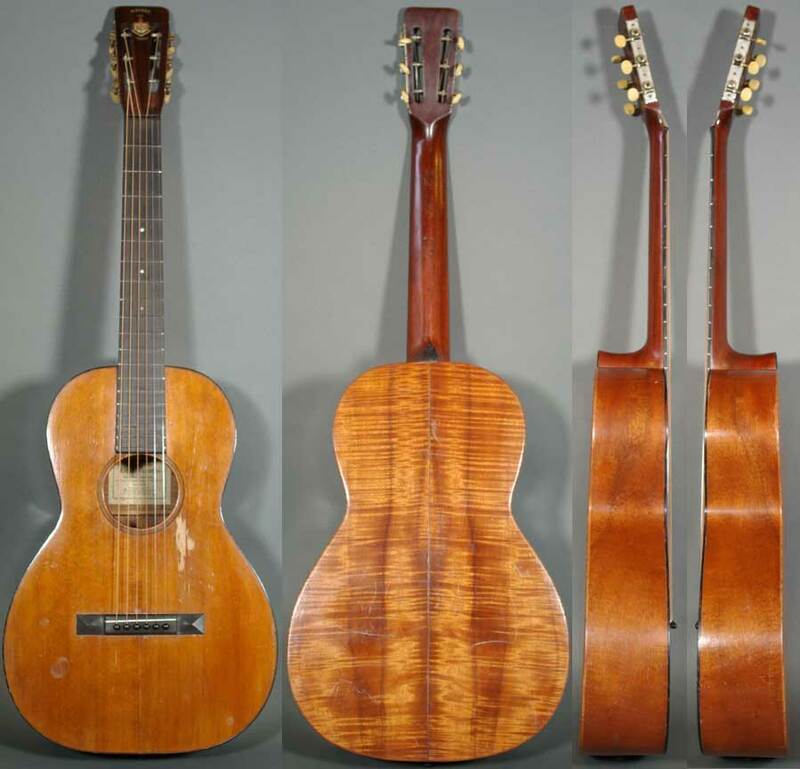 Other than the spruce top (shaded golden brown to match the koa), it is a Southern California Music model 1350, essentially an early version of the 0-18K. The top is fan braced and all other construction details are typical Martin work for this period. 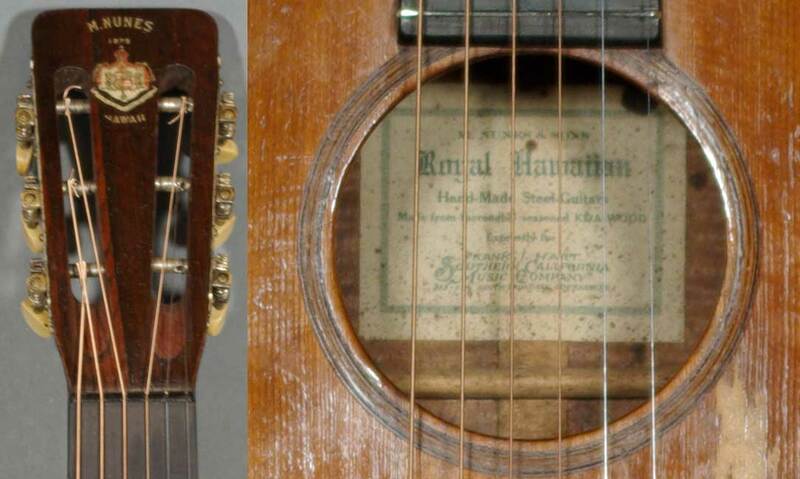 The Brazilian rosewood peghead veneer bears the M. Nunes decal and the paper label inside the guitar reads “M. Nunes and Sons Royal Hawaiian Hand-made Steel Guitar made from thoroughly seasoned KOA WOOD.” The ebony pyramid bridge is a replica and the guitar has been refretted with original style bar frets. All other parts are original.